Do you enjoy stargazing? What about alien movies? This Out Of This World date night could include a telescope for a drive out of the city to do some stargazing or an alien-themed movie night at home. It’s great for a silly date night with your spouse or as a night of fun with your family. It includes free printables to help you plan your next date night! This free printable pack includes 3 labels – Out Of This World, Late Night Snacks and Space Candy. 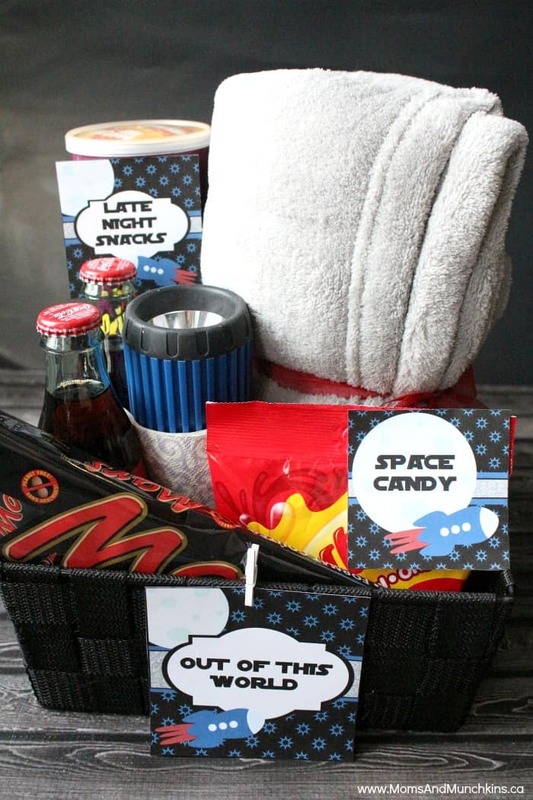 A fun idea is to have a few date night boxes created for your spouse or family to choose from – check out these Comedy Date Night or Sports Date At Home kits for more free printables. It’s always great to have a few easy dates planned in advance! Space Candy – candy with space-themed names like Mars bars, Milky Way bars, Starburst candy, etc. Late Night Snacks like chips, pop, etc. You could use this for a romantic date night with your spouse or as a night of fun with your family. For a family fun date night box, check out these alien crafts or this free printable Alien Charades game. 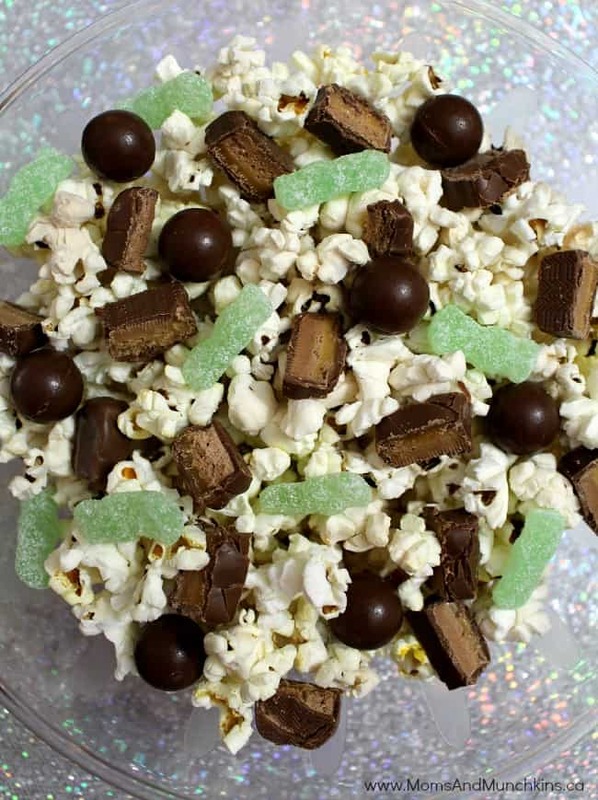 To make your own late night alien-themed snack, check out this Alien Invasion Popcorn recipe. *Space clipart courtesy of Erin Bradley Designs. Thank you to Wendy’s Printable Party for designing the printables for us!